4" and 6" shelf bins designed for 12", 18" and 24" depth shelving units. 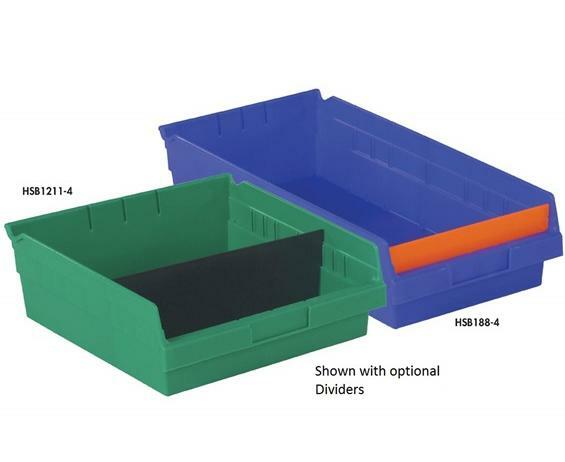 Add efficiency with optional length or width shelf bin dividers. 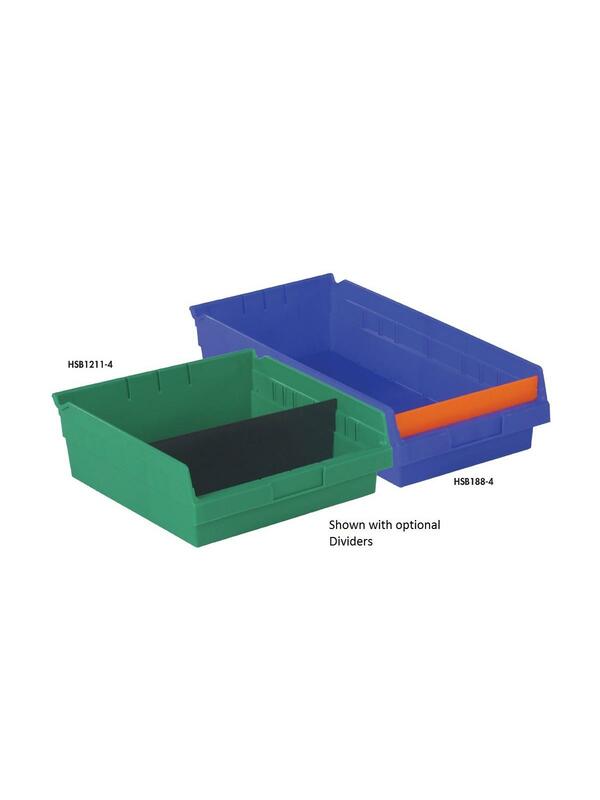 Injection molded bins designed to replace limited use corrugated boxes for long term cost savings. Features a raised hopper allowing up to 35% more material storage than comparable bins. A rolled-rim design with molded-in rib structure ensures bin integrity limiting damage and preventing vacuum lock when nested. Bins available in Red, Blue, Yellow and Green. Experience enhanced picking and inventory control with the Kanban width dividers. Stock shelf bin to desired level using optional kanban divider to designate the "reserve inventory". When inventory is depleted, reposition kanban divider to the front of the bin to provide a visual cue that inventory levels are low and need replenishment. Width dividers available in Kanban Orange and Black. Optional full length dividers lock into bin creating a second storage compartment. See the Related Items tab for Length Dividers for Shelf Bins and Width Dividers for Shelf Bins. 17-7/8 x 8-3/8 x 6"17-7/8 8-3/8 6"
Use with Width Divider Product No. Use with Length Divider Product No.